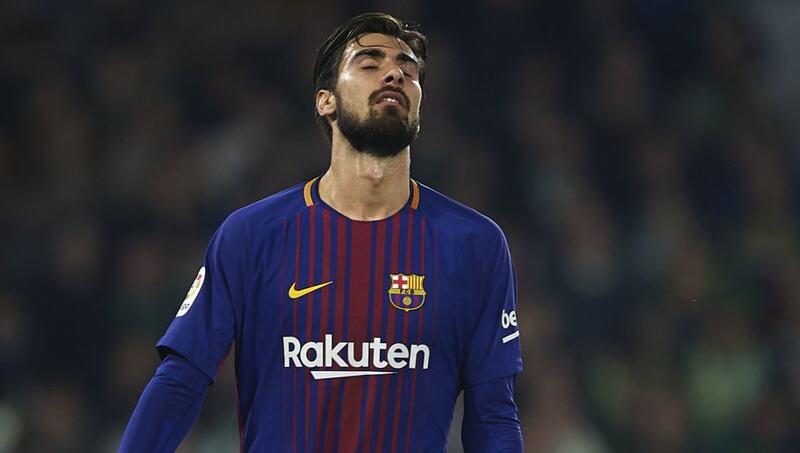 ​​Barcelona midfielder Andre Gomes has seemingly dropped a very big hint that he will be on the move this summer after it was reported that the Portuguese international completely emptied his locker at the club's Ciutat Esportiva training base. Gomes, 24, who has briefly hospitalised with a gastric virus at the end of January, only started six games in ​La Liga in 2017/18. He didn't feature in any of the last five games and appears to have made up his mind that a fresh start is the only of way getting his career back on track. MD notes that ​Barcelona would happily if the price is right. The Catalan publication claims that Gomes, who is represented by super agent Jorge Mendes, seeks a club in the ​Premier League.